You are purchasing a wholesale lot of assorted fishing items. This lot contians approx. 50 different items. 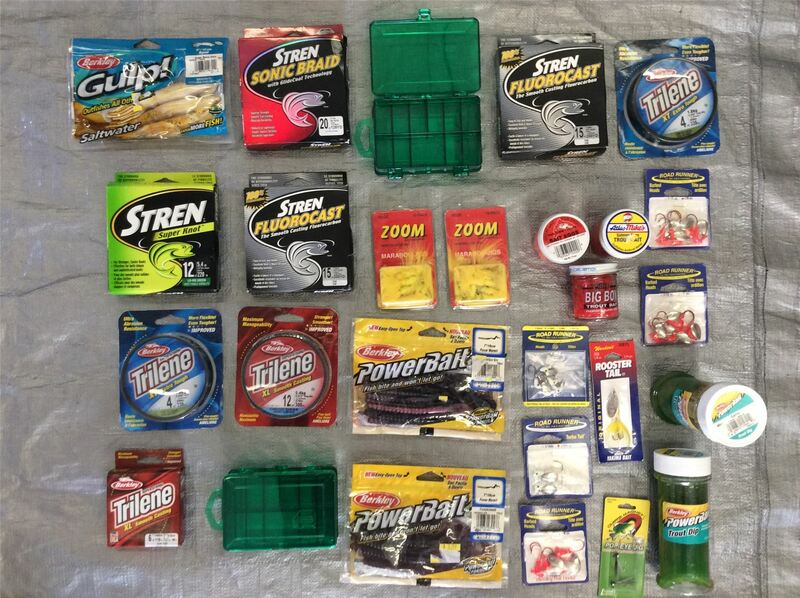 The items in this lot are a mixture of different bait, hooks,lures, tackle equiptment and so much more. Please see the images in this listing for the assortment of items included. The items in this lot are all new, mostly still in retail packaging. Click the button below to add the Wholesale Lot of Assorted Fishing Items, Bait, Hooks, Lures, Tackle and More to your wish list.